In this installment of “My Featured Website” I will be talking about a website that most people know about and have used at one time or another, that website is youtube.com. This is the worlds largest and most popular video sharing and watching website. A little fact about you tube that most people don’t know is that youtube.com is the #3 website in the world (at the time this article was written) as far as the amount of website traffic (visitors) that youtube.com gets. It might be hard to believe that youtube.com is the #2 website in the whole world, but it is. Microsoft’s big search engine website bing.com is only #36 in the world. Youtube.com is behind Google.com in the number 1 spot and is currently ahead of Facebook.com in the number 3 spot in the amount of visitors to their website. Youtube was created in February 2005 by three former Paypal employees. Chad Hurley, Steve Chen and Jawed Karim created Youtube after having trouble finding video clips of Janet Jackson’s famous 2004 NFL Superbowl incident and of the 2004 Indian Ocean tsunami that killed almost a quarter of a million people. They wanted a video file sharing service where people could easily find video clips they are looking for. 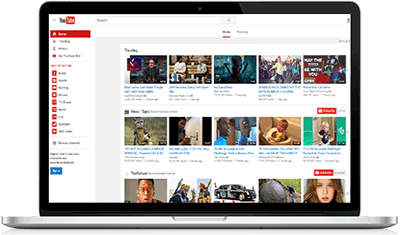 In November 2006 Youtube was bought by Google Inc. for the sum of US$1.65 billion dollars. The rest is history and now youtube.com has over one billion users and has 300+ hours of videos uploaded every minute. I wasn’t really a user of youtube.com that often in their early years, probably because there wasn’t as wide of a variety of videos as there are now. Now however, I frequent youtube.com all the time to watch music videos, how-to and help videos and many others as the need arises. I’ll even go to you tube.com to watch the Gummy Bear Song’s video when I want a quick laugh, LOL. So go and check out youtube.com and just type in random things and see what videos they have. You will probably be surprised to find out that there is a video on you tube.com for just about anything you can think of. Do you have a question or comment about Youtube.com? If so, please leave me a reply at the bottom of this page. SEO and your Website or Blog! Previous Post: Congratulations to the New England Patriots!